Freezing temperatures limit the geographical distribution of plants and reduce their productivity. 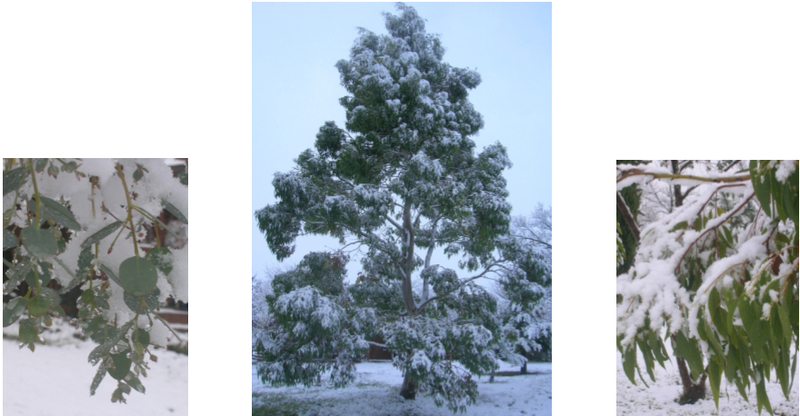 Frost tolerance is of critical importance for Eucalyptus, which is native to Australia. Economically important for paper industry, it is the most widely planted hardwood tree in the world. The expansion of plantations is nonetheless limited to climatic regions without severe frosts. Actually, this genus is particularly vulnerable to freezing injury due to its opportunistic development which lacks both endodormancy and winterfall of the leaves. On the other hand, these characteristics make this woody plant an interesting model for studying cold tolerance without interference from the dormancy process. A cDNA library was constructed from a cold tolerant and acclimated E. gunnii genotype, originating in the Tasmanian mountains and resulting from French breeding programs. From the 366,000 clones, 13,056 randomly chosen ESTs were sequenced. The distribution of the 11,303 annotated sequences was studied according to the Gene Ontology classification (Keller et al, 2009). The functional annotation Eucalyptus transcriptome composition under cold stress was completed by a global expressional analysis on randomly selected 2,662 cDNA clones. The expression of the corresponding 1,554 unique sequences was investigated using macro-array technology. For these gene expression studies, leaves were collected at five time points throughout the cold acclimation program of the E. gunnii plants. Using the mean value obtained for macro-array signal of duplicates, the relative gene induction level corresponds to the ratio between the signal for cold-treated plants and control plants (25°C). The expression rate of each clone is indicated at the 5 time points, which corresponds to the very early period at 4°C or 12°C (“vE” = 15 min, 30 min and 2 h), the early period at 4°C (“E4” = 5 h, 10 h, 24 h), the late period at 12°C (“L12” = 2 d, 3 d and 4 d) and at 4°C (“L4” = 2 d, 3 d, 6 d). 1. Tournier V., Grat S., Marque C., EL Kayal W., Penchel R., De Andrade G., Boudet A.M. and Teulieres C. 2003 - An efficient procedure to stably introduce genes into an economically important pulp tree (E. grandis x E. urophylla). Transgenic Research 12: 403-411. 2. Valerio L., Carter D., Rodrigues J.C., Tournier V., Gomingho J., Marque C., Boudet A.M, Maunders M., Pereira H., and Teulieres C. 2003 - Down regulation of Cinnamyl alcohol dehydrogenase, a lignification enzyme, in Eucalyptus camaldulensis. Molecular Breeding 12 (2): 157-167. 3. El Kayal W, Navarro M., Marque G., Keller G, Marque C. and Teulières C. 2006 - Expressional analysis of two CBF-like transcriptional factor genes from Eucalyptus in response to cold. Journal of Experimental Botany, 57 (10) 2455-2469. 4. Navarro M. and Marque G., Ayax C., Marque C. and Teulières C. 2009 Complementary regulation of four Eucalyptus CBF genes under various cold conditions, Journal of Experimental Botany, 60 (9) 2713-2724. 6. Keller G, Marchal T., SanClemente H., Navarro M., Ladouce N., Wincker P., Couloux A., Teulières C.and Marque C., 2009 - Development and functional annotation of a 11,303 EST collection from Eucalyptus for studies of cold tolerance. Tree genetics and genome 5 : 317-327.